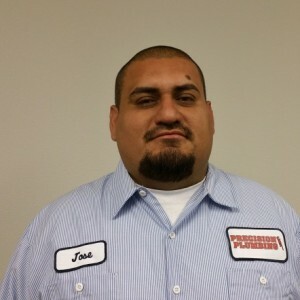 Jason A has a 5-Star rating and leads the company in total reviews, making this pro a ReviewBuzz Rockstar! I have lived in Las Vegas for 17 years and am a native of Virginia. One of my favorite restaurants is Bob Taylor's Steak House and my favorite movie is It's A Wonderful Life. On my days off I like to spend time with my family. Everyone was fantastic. Jason and Andrew far exceeded my expectations of service! Great service good job! Very informative.. Thanks again! Outstanding service! Professional and always on time. Thank you Jason for taking such good care of us. Excellent customer service and a tremendous value. Jason is my ROCKSTAR! He has fixed numerous plumbing issues on my father's property. He is knowledgeable and trustworthy! 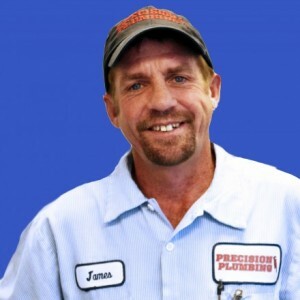 Precision plumbing came in time and fixed our clogged sewage problem fine. Although they have mistakenly overcharged me up to $1046!!! When my fee is only $230 for just a 20 min service. I have called 3 times to refund the overcharge and service has been quite slow. Overall a great experience with this company. Fair pricing, professional service, honest and trustworthy are all the characteristics I would use to describe the first impression I had when I scheduled an appointment and had them look at my problem. Would recommend them as a go-to plumbing service for any plumbing needs. 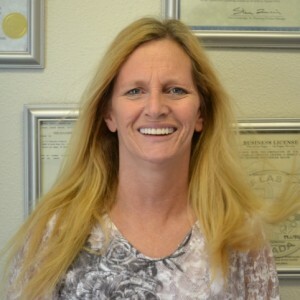 Courteous, professional, and all around great employees at your business. Very happy I called. Kym was great on the phone. Made the set up easy and comfortable. 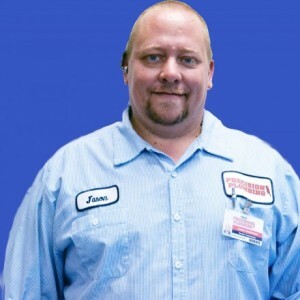 Jason arrived as scheduled, explained the work to be done and made the paperwork process easy. 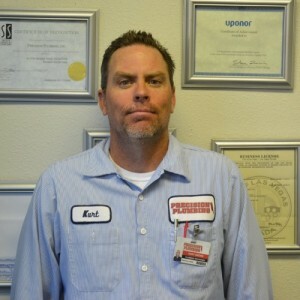 Thank you to Jason for also recommending the a/c and heating maintenance offer. We decided to also get it done since we can tell that the quality of work was excellent. Jason did a fantastic job of replacing the shutoff lever and pressure regulator at the estimated amount (working in the rain). We were without water due to an inoperative shutoff and we had three estimates which were much higher than the estimate from this plumber. We were very happy with this company and the job that Jason did for us. Seemed expensive for a plumbing cap at $158. jason was excellent. He explained the system in terms i could understand. He arrived on time. He diagnosed the problem quickly and gave me the info and options i needed. Arrived at work after a week of vacation and enter the employee kitchen. A fellow coworker so politely placed a sign that read "Don't use it, it's Clogged", but failed to make any attempt to get it fixed. So I look on Yelp for a plumber, find Precision and call. Literally within an hour they have Jason and Andrew at our office. All work was done quietly, efficient and fast. They were even so nicely to put all our stored cleaning supplies from under the sink back under the sink & well more organized than what our cleaners don't do. Thanks Precision Plumbing. I'll be recommending you no doubt. Fahn you were a pleasure to set up our appointment.